Not to be confused with Buddha. Mercury represents intelligence, clear mind, education, writing, reading, language, speech, communication, humor, wings, logical mind, thought, understanding, judgment, discrimination, mental disorders, knowing, and understanding. Mercury is the most intelligent of the Navagrahas, gentle, eloquent, and witty. He is the god of merchandise, the protector of merchants, and his vehicle is a lion. 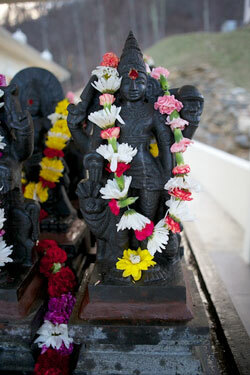 Go to The Gods Category on my Vedic Knowledge Blog.